Built in 1962-1964 and was inaugurated on 12 June 1964. 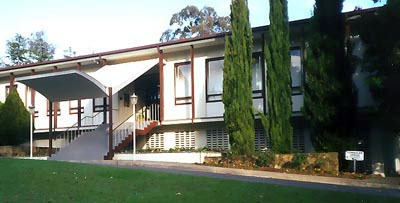 The Philippine Embassy in Canberra is mandated to promote Philippine national interests in the conduct of bilateral relations with Australia, in order to contribute to the well-being, progress and security of the Filipino people and nation. 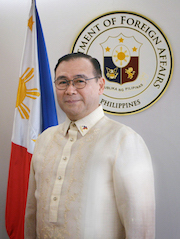 In accordance with its mandate, the Philippine Embassy in Canberra aims to support the attainment of national security, sustainable development and progress and the reduction of poverty in the Philippines. The Embassy is also mandated to promote and protect the rights and welfare of Filipinos in Australia, Nauru, Tuvalu and Vanuatu.